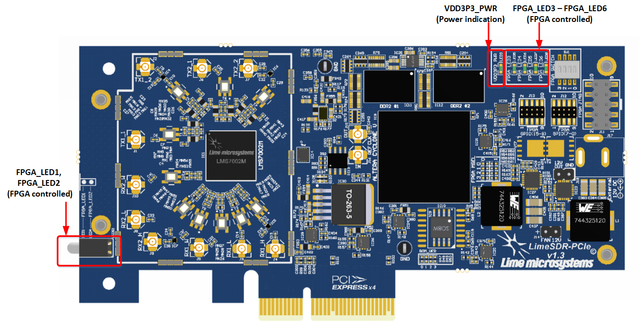 The LimeSDR-PCIe v1.3 board from full package showed in Figure 1. 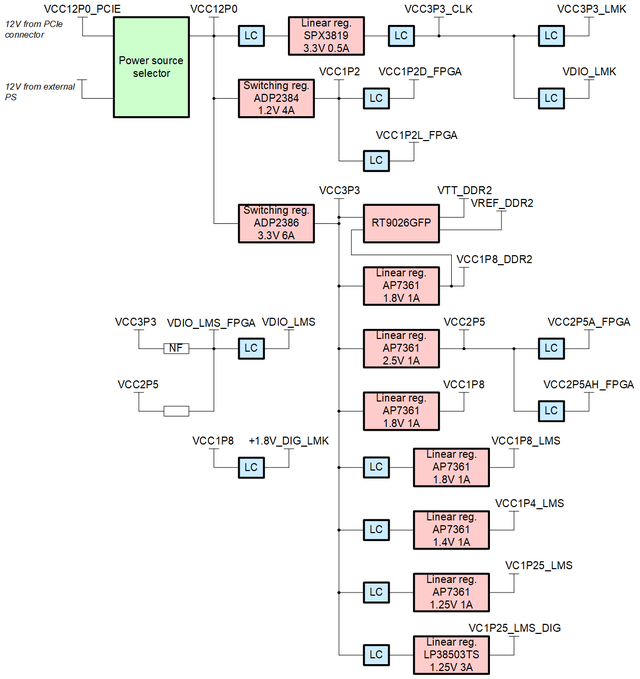 LimeSDR-PCIe board version 1.3 picture with highlighted major connections and components presented in Figure 2 and Figure 3. 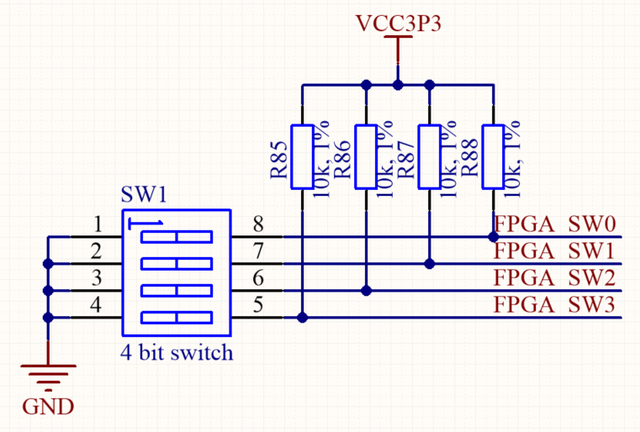 There are three connector types – data and debugging (PCIe, FPGA GPIO and JTAG), power (DC jack - optional) and high frequency (RF and reference clock). 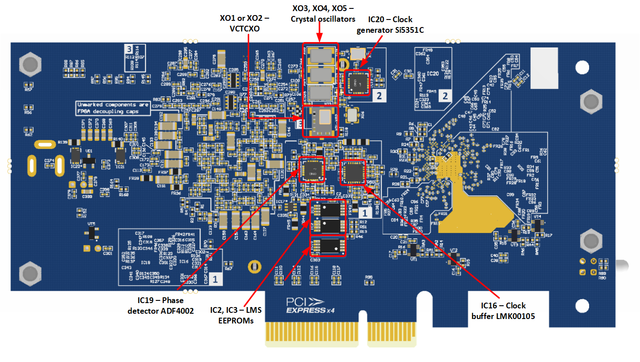 LimeSDR-PCIe board version 1.3 picture with highlighted components on top presented in Figure 2. XO1, XO2, XO3 VCTCXO Voltage Controlled, Temperature Compensated Crystal Oscillator (30.72MHz, only one is soldered). LimeSDR-PCIe v1.3 board contains RF loopback switches (IC4, IC5, IC6, IC7) for LMS7002M which are controlled from FPGA. By using loopback switches RF path TX1_2 can be connected to RX1_H and TX2_2 to RX2_H. VCTCXO can be tuned by onboard phase detector (IC18, ADF4002 [link]) or by DAC (IC17). 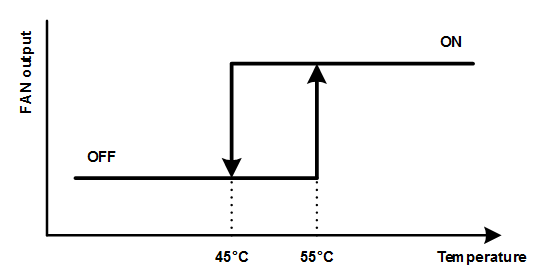 The onboard phase detector is used to synchronize onboard VCTCXO with external equipment (via J16 U.FL connector) to calibrate frequency error. At the same time only ADF or DAC can control VCTCXO. 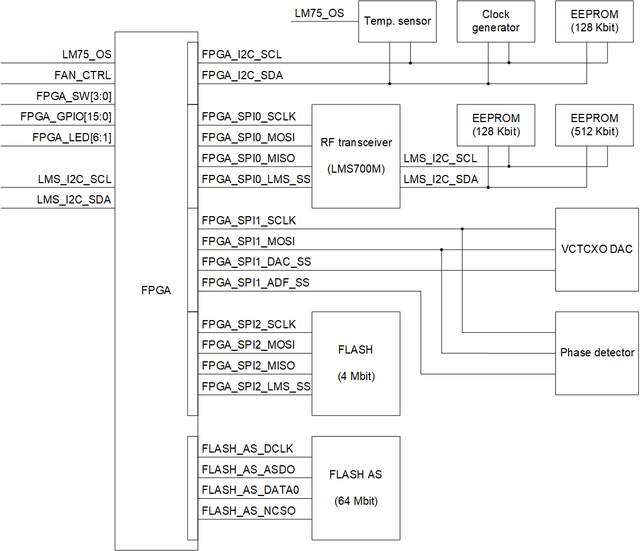 DAC and ADF is controlled by FPGA and selection between ADF and DAC is done automatically. When board is powered, by default VCTCXO is controlled by DAC. J16 connector (REF_CLK_IN) can also be used to supply external reference clock (fitting R109, removing R107, C347). J15 connector (REF_CLK_OUT) can be used to feed clock to another board for synchronization purposes. For this purpose R122 resistor has to be fitted. 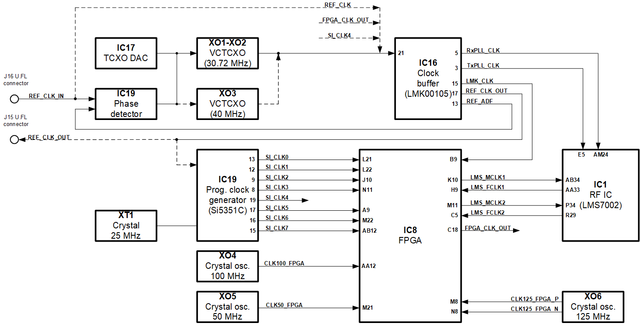 The programmable clock generator (IC19, Si5351C [link]) can generate any reference clock frequency, starting from 8 kHz – 160 MHz, for FPGA and LMS PLLs.